We are the highest stakes MMA/boxing tipsters in the world, and we have a 71% winning percentage. We built a six figure bankroll from zero in an 18 month period betting exclusively on MMA and boxing. To view our subscription packages including weekly, monthly, six monthly and yearly go to prommabetting.com. We also offer audio live betting tips (easiest money you'll ever earn), and produce a podcast breaking down and predicting every UFC event. Trained and competed in MMA in the late 90s through to around 2008 then life took over. Twenty years' MMA experience. ***UFC London 16/3/2019 & UFC Nashville 23/3/2019 bets are on my betting.gs page (link on my website and above). I forgot to add the bets pre UFC London and a number tie in with UFC Nashville. 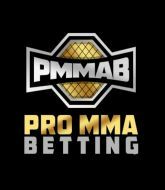 Buy Pro MMA Betting 's MMA Picks! You will be able to view any more paid picks they make between now and the next event for no extra charge.